Apples and Oranges Total Body Therapy and Spa is known for its first-class service. The spa treatment is designed to reconnect your mind, body and spirit or take advantage of our cutting-edge salon services or nail spa. Also, there is the children’s world which offers a fun salon experience, equipped to keep children engaged & entertained. Additionally, there is the Spa Cuisine which is one of its kind for those feeling peckish and keeps you nourished. Apples and Oranges Spa is a trendsetter when it comes to relaxation, rejuvenation, and wellness. The team at the spa is made up of certified technicians with cutting-edge skills. There is also an exceptional in-house training program that assures consistency and quality among all our technicians. Located on 7B OjuOlobun, ORIKI is a spa and skin care clinic. The company was founded by Joycee Awosika in 2015. ORIKI is a brand that combines natural ingredients and scientific research to create extraordinary personal care products. The ORIKI range is made up of premiere products in the skincare space that will represent the country globally. Apart from the skin care and spa treatment, ORIKI sels grooming kit for both men and women. These include the Oriki Handsome Grooming Kit which made up of Cedarwood Moisturizer w/mint leaf extract, Olive Butter Aftershave Balm, Beard Oil w/ jojoba and Mint Sugar Body Scrub. Other services include Deep Tissue Massage, ORIKI Men’s Facial, ORIKI Men’s Haircut and many more. 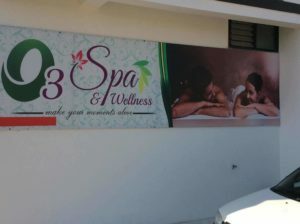 Located in the heart of Victoria Island, O3 Spa is an exciting and innovative Salon Spa. The spa is known for its high standards in skincare and hairdressing. The team at O3 Spa comprises highly trained, passionate therapists hairstylists that listen to your needs and customize their services to meet them. When it comes to colour, O3 Spa uses the full range of L’Oréal Professionnel, including the innovative, ammonia free, oil delivery system. Also, for hair care and styling, O3 Spa stock internationally acclaimed brand – L’Oréal Professionnel. 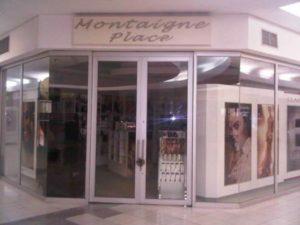 Montaigne Place is one of the largest Luxury Skincare, Cosmetic, Fragrance and Well-being retail companies in Nigeria. The company was established based on the founder’s vision to provide luxury at its best. The Montaigne Place provides an exceptional sophisticated shopping experience with our exclusive offerings in skincare innovation, sublime fragrances and luxury cosmetics. Also, the company has retail outlets across Nigeria. Other luxury fragrance brands include Amouage, Chanel, Dior, Paco Rabanne, Gucci, Tom Ford and Estee Lauder. The Montaigne Place Spa provides a luxurious spa experience and delivers an exotic and exclusive range of treatments that leaves you rejuvenated beyond recognition. 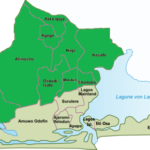 The spa is located on 226B Muri Okunola Street, Victoria Island. 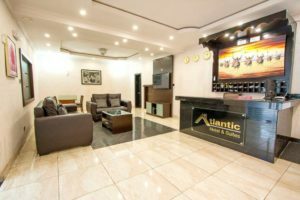 Incorporated in 2003, Atlantic Hotels and Spa is located on 4, Adeleke Adedoyin Street, Victoria Island, Lagos. 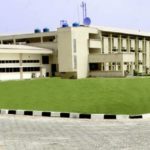 20A Musa Yaradua Victoria Island Lagos. The hotel provides long term contracts with reputed multinationals in the telecom industry, oil and gas industry for providing lodging and boarding services to their esteemed guests. 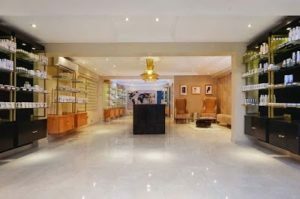 Located in the heart of Victoria Island, D’Hairitage Beauty Salon and Spa is a luxury Spa Facility which is home to state of the art facilities, professional staff and also provides the best in beauty and spa products. The spa offers the best services at great prices and it is located at the Exquisite BWC Hotels. The facility has a relaxing ambience and atmosphere. Johnnys is a full service beauty parlour involved in a wide range of beauty treatments and hair making services. These services are delivered by a team of highly trained therapists and this team coupled with the environment makes it easy for you to relax and unwind while enjoying your beauty treatment. In recent times, Johnny has grown rapidly to become one of the most desirable destinations for hair making and beauty treatment. 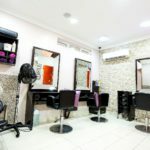 It is located on 14 Idowu Martins Street and it offers a wide selection of hair, body and beauty services such as: Barbing, Manicure & Pedicure, Nail Polish, Laser removal, Blow Dry, Eye Lashes, Facials, Massage, Body Teatment and Tattoo. 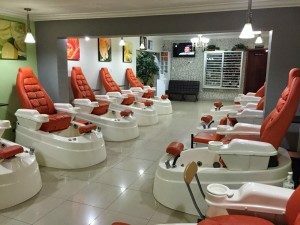 Located on 14 Abagbon Close, BNatural Spa is one of the major spas in the country. 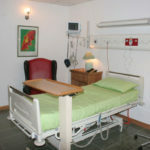 The spa is the first medical spa and laser centre in Nigeria. At BNatural Spa, the most advanced cosmetics laser and skin treatments are available. The spa combines the most advanced and approved skincare technology, technical medical expertise with ongoing skincare management. The outcome is a customized treatment program specific to each client’s need delivering outstanding results.